Choosing an Essex wedding venue for their dream day, Hannah and Tommy embraced a woodland theme, transforming Gaynes Park in to a magical forest. Following a romantic proposal on bended knee on their two year anniversary, Hannah and Tommy were on the look out for the perfect barn wedding venue in Essex. 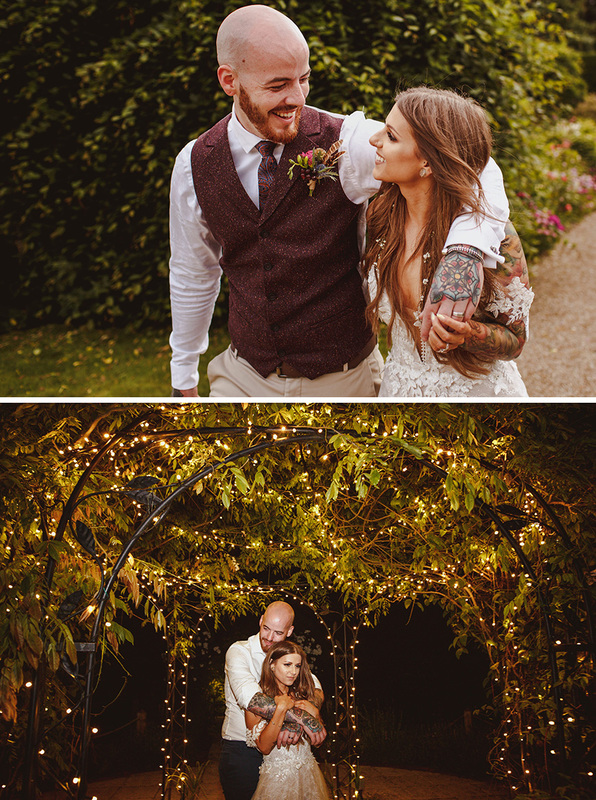 Hannah and Tommy chose a woodland theme, a rustic feel with rich colours, moss, mushrooms, twinky lights and woodland creatures that would transport their guests in to a magical forest. “My mum and I had so much fun making things,” smiles Hannah. “We made all the table name logs. Each table was named after a woodland animal with a centrepiece of faux moss, stones, flowers and other details and the little animal living on the top!” The creative duo also made the amazing table plan, a sweetie stand and other decorations alongside the wedding favours – a glorious selection of succulents in individual jars with twine and personalised labels. “We took all these lovely elements home and we now have gorgeous keepsakes which remind us of our special day,” says Hannah. 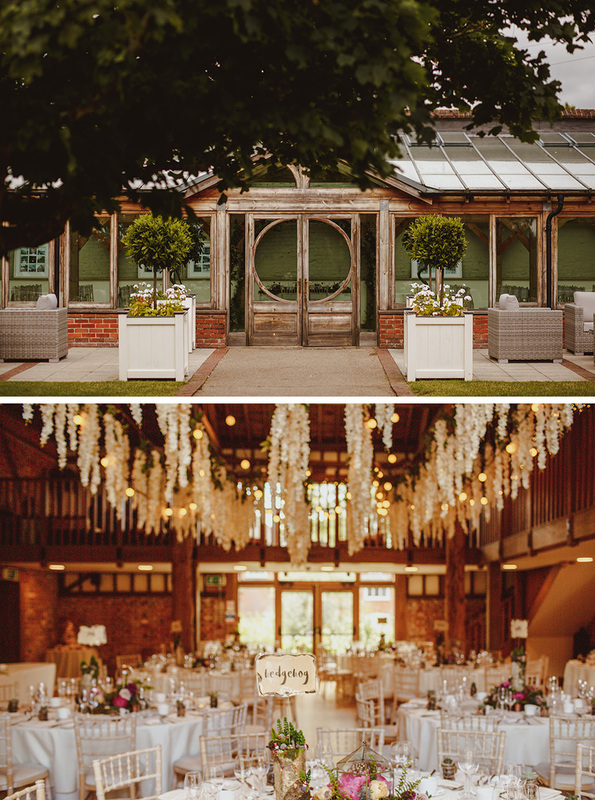 Finally, Gaynes Park was embellished with plenty of twinkling fairly lights, rustic chair bows and wisteria. Hannah found Jodie from Boutique Blooms who turned her vision in to a reality. Bright colours and wild blooms adorned the venue. 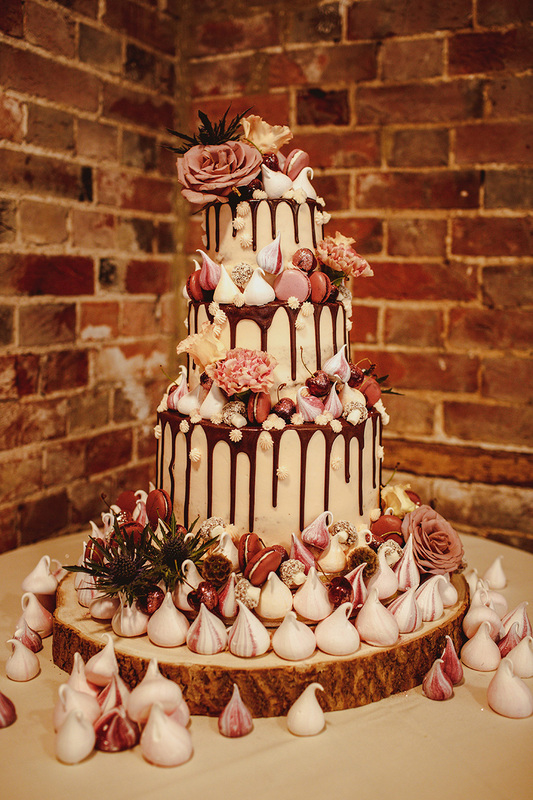 The semi-naked drip cake consisted of three tiers of Black Forest Gateau, adorned with miniature meringues, glitter cherries, macarons, coconut mushrooms and flowers. Hannah wore a stunning gown by Kobus Dippenaar with intricate floral detailing, sequins and Bardot-style arm details. Finally, the beautiful bride accessorised with plastic bow wedges in pastel pink. When it came to her bridesmaids, Hannah gave them the choice of what they should wear. After changing his mind a couple of times, Tommy looked the part in relaxed, tweed suit. Following their ceremony in the Orangery at Gaynes Park, the newlyweds and their guests moved in to dine in the Mill Barn. As day turned to evening, they chose a live band, ‘Minibar Disaster’, to fill the dance floor. “They had a vibrant energy and we had such good fun!” says Hannah. If you think that this breathtaking wedding venue in Essex could be the perfect place for your special, make sure you visit the Gaynes Park listing page and find out more today.